When it comes to our kids, we know that there’s nothing we wouldn’t do to ensure that they’re safe and happy. Legal mechanisms like estate planning allow you to give your kids the surety that, in the event something happens to you, they will be protected. Within the estate planning toolbox, there are two tools that will protect your kids: the trust and the guardianship papers. Both help you plan for any possible eventuality, and both will give you and your whole family peace of mind. 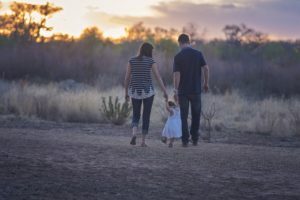 In addition to a trust, choosing the best guardian for your kids is a must-do for anyone with minor children who is looking into estate planning. This involves careful thought and preparation, and we will give you some advice on choosing the best guardian for your kids. But first, let’s see how we define a trust. When you hear the phrase “Trust Fund Kid,” you might think of negative connotations, like the spoiled rich kids that are classic movie villain tropes. However, trusts aren’t just for people with tons of money. A trust is a three-party relationship that is fiduciary in nature. You, the trustor/donor, give nominal title to a trustee, who then holds title until you tell them to grant it to your beneficiary (in this case, your kids). This trust can hold many different things, including cash, stocks, bonds, or even property. The beneficiary can access the trust when they reach 18 (or 21, depending on your instructions). By forming a trust for your kid, you ensure that you will be able to financially support them in at least some respect once they reach adulthood. The trust grants financial security, and you don’t need to put millions in there to help your kids. In addition to the financial security a trust brings, guardianship papers are a must-have for anyone who is estate planning with minor children. Even if your children are 17 and have almost reached adulthood, it can’t hurt to include guardianship, as you never know what can happen. Once you’ve made your selection, talk to your proposed guardian. If they agree, make sure to officialize it in your estate plan. Here are some considerations when choosing the best guardian for your kids. We all have an idea of how we want to raise our kids and the values we want to instill in them. It doesn’t matter where these values come from—religion, family tradition, etc.—what matters is that they’re important to you. Draw up a list of general values you want a guardian to have. This will get your list going in the right direction. In sum, it’s really about what your kids will be doing each day of their life with their guardian. School, homework, work, planning for college—all these activities matter in the short- and long-term. When you’re considering a guardian, think about how your child’s day will go with them and whether it will be a stable environment for them to come home to each day. You may have the perfect person in mind, but don’t forget: you need to ask their permission first. Talk to your guardian about your proposed role for them. Make sure they’re on the same page in terms of child-raising. While no one ever wants to think about negative potential life events, it never hurts to be prepared. In addition to a trust, choosing guardianship for your minor children in the event that something happens is the best way to ensure that, even in the worst case scenario, your kids will be protected and have the best chance possible at a great life.